Stump riddles - Guess the Word! 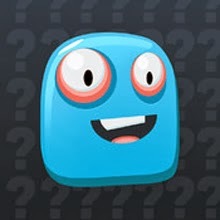 By Roberto Nickson is a brand new riddles game application. It's an iOS - iPhone, iPad, iPod touch game with challenging rebus puzzles and brain teasers. After play the game you will feel it's very addictive. Here we included Level 41 - 60 Answers, walkthrough guides, helps, cheats, tips, tricks and solutions for you to continue with this fun game. Have fun with stump riddles - guess the Word! Challenging Rebus Puzzles & Brain Teasers? Still can't find your level answers? Don't worry; we are constantly updating our website with latest levels so make sure to bookmark us for future quizzes.